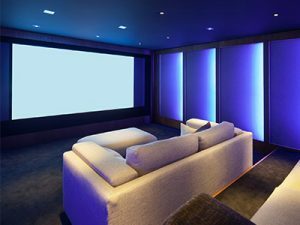 Maddox AV designs and creates home theater systems that will enhance your lifestyle and provide hours of spectacular entertainment. We will work with you to design a room that is everything you have imagined and more. We’ve designed everything from rooms that scream “WOW!” and provide the ultimate ground-shaking experience, to more subdued settings that provide a relaxed environment for watching your favorite classics. 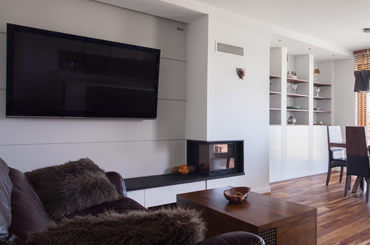 Some homeowners prefer for the wow factor to be discreetly tucked away until they choose to drop the TVS and speakers from the ceiling, or raise them from a hidden compartment for an evening of entertainment. Call us today to see how we can outfit your Anne Arundel home. Consider enhancing your ambient lighting with a fiber optic representation of the constellations. Reclining on your sofa as you gaze at familiar constellations creates a cozy and relaxing atmosphere. Experience movies like never before with our D-Box seating actuators, which create a true cinematic experience when combined with an ultra-wide 2.35:1 aspect ratio. Do you enjoy listening to jazz while cooking or baking in the kitchen? Do your kids prefer to listen to their own playlists in the family room? Does dad want to hear classic oldies while tinkering in the garage? With a multi-room or whole house audio system, everyone can have what they want at the same time! You’ll each be able to play, skip, or change channels to your heart’s content without impacting the listening experience of your family members. Maddox AV will work with you to get a complete picture of your lifestyle and then install the technology. We will make your home even more enjoyable for every member of your family. Contact us today to see what we can do for you! Is your home a smart-home? The experts at Maddox AV can transform your home into a virtual iHome! 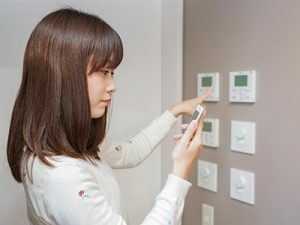 Personalize your living spaces with the perfect heating and air conditioning system controls while saving money on energy bills. The lighting in your home is what sets the mood – low and warm for relaxation, or bright and cheerful for entertaining. 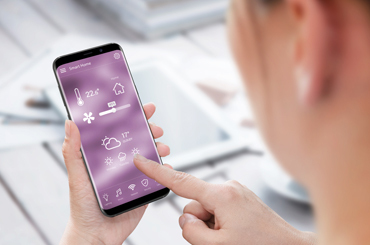 Smart lighting allows you to control the settings for your lights so that they will go on at certain times of the day or night, to accommodate your energy needs. You’ll never worry about leaving the lights on again with our programmable features. Many of these same features are also adjustable with the touch of a button. Today’s homes in Anne Arundel are designed to entertain, be more productive, and allow you to work remotely. Often though, the home network or cell phone reception needs a boost to meet the demands of the residents. Maddox AV can analyze and improve your WiFi signal, network capabilities, cell phone reception, and more. Call today to learn what we can do for you. Luxury homeowners place a premium on the safety of their home and family. Maddox AV can work with you to design surveillance and remote monitoring systems that provide you with peace of mind whether you are at work, at home with your family, or traveling abroad.These systems are accessible from smartphone devices as well so that you can always know what is going on at home, even when you’re away! 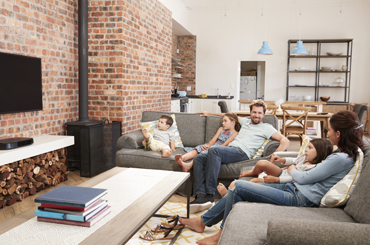 We understand that homeowners in Anne Arundel want the latest technology incorporated into their homes for comfort, convenience, entertainment, and safety. We work to understand each clients’ unique needs and recommend the products and applications that will best meet those needs. We work with most major manufacturers and our turnkey installations provide clients with a seamless integration of technology and ease of use.